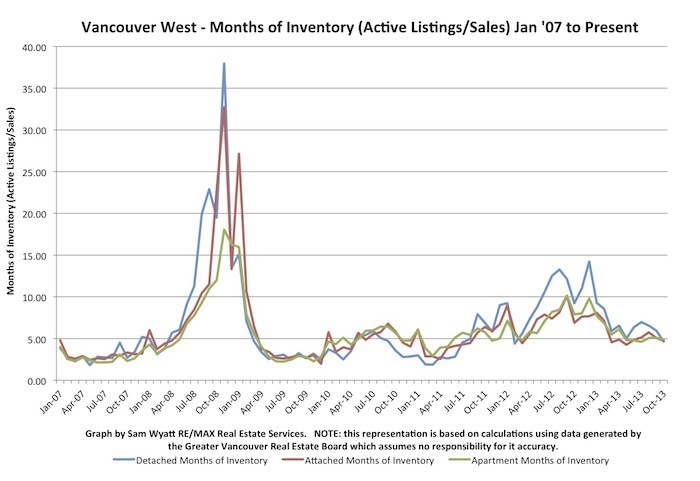 In October the Months of Inventory (MOI) for Vancouver real estate was under 5 months for all home types. This is a stunning reversal of where things were this time last year. I just sold this Condo at 205 1345 W 15th Ave, Vancouver, BC Fairview. I just sold this Condo at 2248 ALDER Street, Vancouver West, British Columbia Fairview VW. I just sold this Townhome at 2254 Alder Street, Vancouver, BC Fairview Slopes.